However, based on research and modern day findings, non-smokers are also at serious risk. 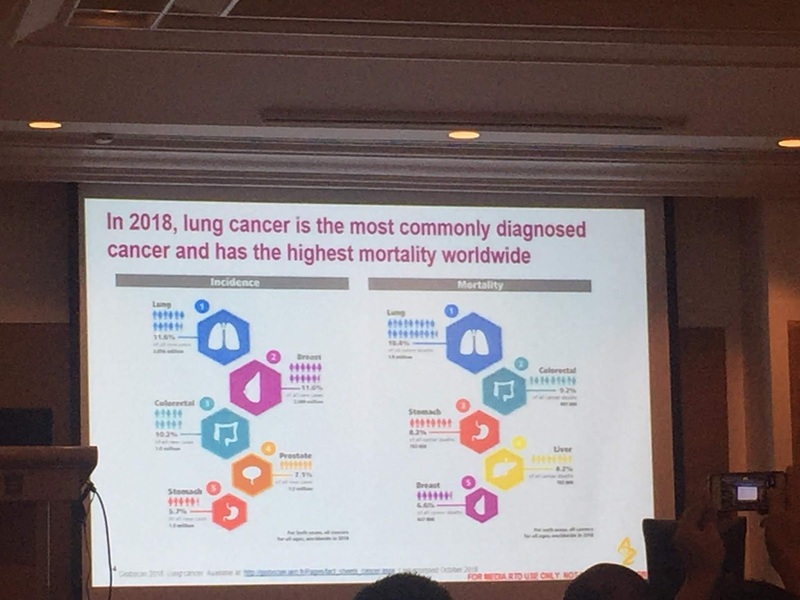 In the Philippines alone, there are also high cases of Lung Cancer patients and with this in mind, AstraZeneca and The Philippine Society of Medical Oncology (PSMO), Cancer Coalition of the Philippines (CCP), and the Philippine Alliance of Patient Organizations (PAPO), joined hands to spread awareness to the Filipino people. 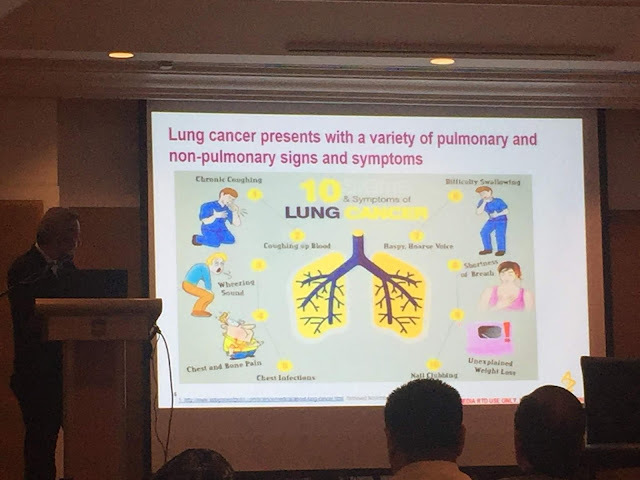 They also launched the LVNG With Lung Cancer, an online portal for patients across all stages of the disease. "Being diagnosed with lung cancer can make patients feel anxious and hopeless, which is why support is vital," explains Dr. Donald Ray Josue, Medical Affairs Head of AstraZeneca Philippines. "LVNG With provides support by forming a community of patients and their loved ones so they can inspire one another and exchange helpful information about their treatment. Through the network, patients may realize that while lung cancer is not yet curable, it is very treatable. There's still so much more for them to look forward to in their lives." In a study conducted last 2015, 25% of the lung cancer patients are not smokers and have never smoked in their life. It also show that exposure to second-hand smoke is also deadlier. It identifies exposure to diesel exhaust, asbestos, radioactive radon gas, and chemicals released by burning coal products, as some of the culprits. Another major concern is the psychological effect on the patient wherein they have this idea that lung cancer is a hopeless case. With LVNG With, it addresses the stigma of lung cancer being incurable as well as give assurance to the patient that with today's science and technology, there are new treatment options. Tagrisso (Osimertinib) is a breakthrough oral tablet that target tumors with epidermal growth factor receptor (ECFR) mutations. Based on medical research and study, Tagrisso (Osimertinib), a third generation EGFR TKI (tyrosine kinase inhibitors) that has shown better precision and power at preventing the growth of lung cancer, thus improving the chances of survival for the patient. This breakthrough tablet also has lesser side-effects on the patient. "These results have made Tagrisso (Osimertinib) the recommended and preferred first-line treatment by international guidelines for advanced and metastatic non-small cell lung cancer-- the most prevalent type of lung cancer-- that tested positive for EGFR," added Dr. Josue. Testing Laboraties for EGFR biomarker are now available nationwide as well as in hospitals such as Chong Hua Hospital, Hi-Precision Diagnostics, Lung Center of the Philippines, Manila HealthTek Inc., National Kidney and Transplant Institute. St. Luke's Medical Center BGC, and The Medical City. 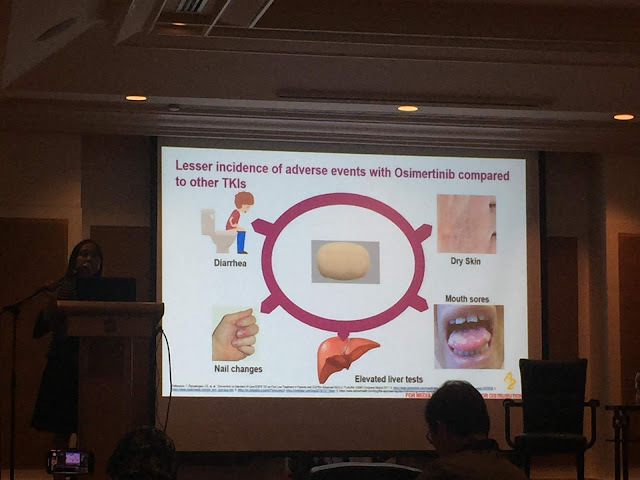 *** Osimertinib is a prescription medicine. Patients should consult their physicians regarding their condition and their treatment.